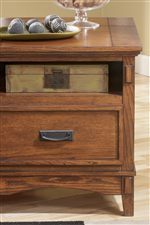 A functional and timeless accent for your living room, this cocktail table features a medium oak stain finish with mission style and tons of great storage. 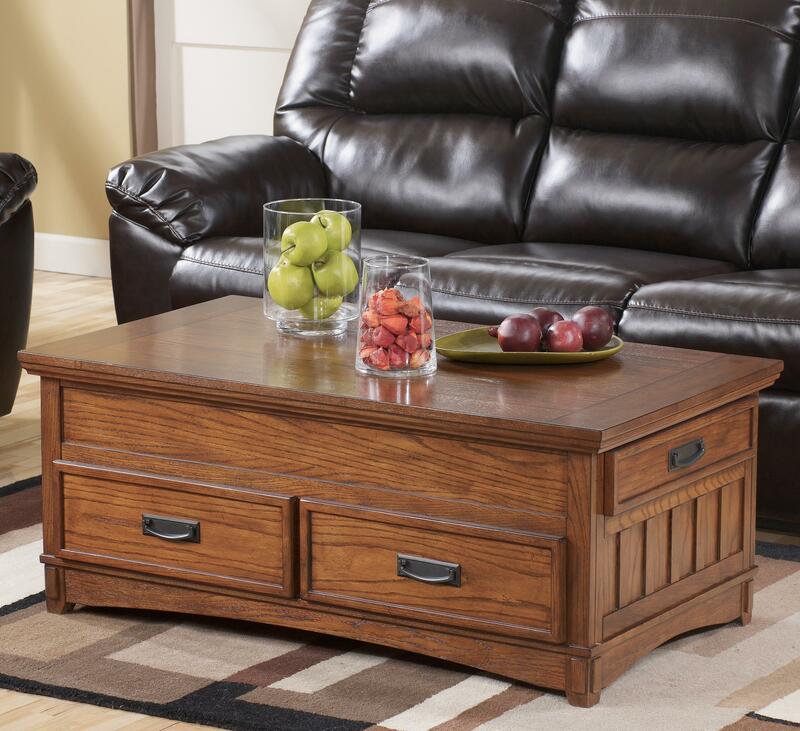 The lift-top reveals hidden storage and additional storage that makes this coffee table perfect for entertaining. 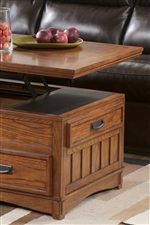 With four additional drawers, you have even more options for spots to keep remote controls, magazines, coasters, and more. Overlay blocks added to the posts create the look of the classic mortise and tenon joints that are the hallmarks of mission design. The Cross Island Mission Rectangular Storage Lift-Top Cocktail Table & Casters by Signature Design by Ashley from Nashco Furniture - Nashville. We proudly serve the Nashville, Franklin, Brentwood, Clarksville, Green Hills, Davidson County, Williamson County, Tennessee area. Product availability may vary. Contact us for the most current availability on this product. The Cross Island collection is a great option if you are looking for Mission furniture in the Nashville, Franklin, Brentwood, Clarksville, Green Hills, Davidson County, Williamson County, Tennessee area. 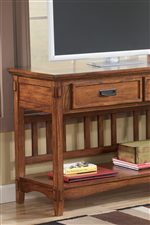 Browse other items in the Cross Island collection from Nashco Furniture - Nashville in the Nashville, Franklin, Brentwood, Clarksville, Green Hills, Davidson County, Williamson County, Tennessee area.